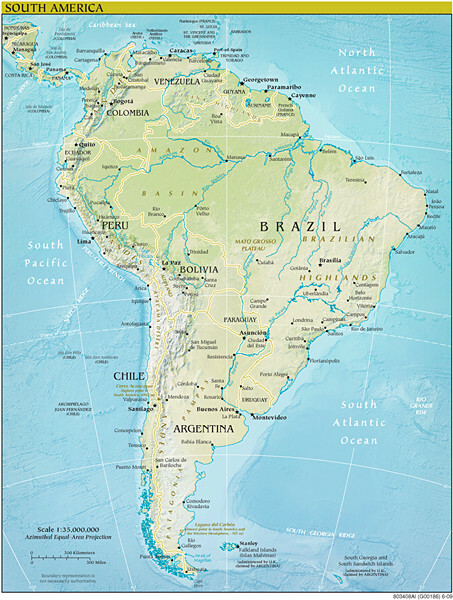 South America is thought to have been first inhabited by people crossing the Bering Land Bridge (now the Bering Strait) from the territory that is present-day Russia. Her neighbour is a South American. 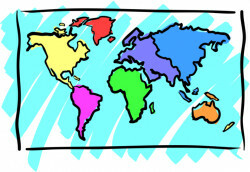 The South American continent consists of more than ten countries. Argentina is the largest among Spanish-speaking nations. Bolivia is a democratic republic. While I come from Chile, my friend is from England, so I had to learn to speak English. Guyana is one of the four non-Spanish-speaking territories on the continent of South America. Because of its central location in South America, the country is sometimes referred to as Corazón de América - Heart of America. Peru is a representative democratic republic divided into 25 regions. Suriname is the only Dutch-speaking region in the Western Hemisphere that is not a part of the Kingdom of the Netherlands. Uruguay's economy is largely based on agriculture. Venezuela is known widely for its petroleum industry, the environmental diversity of its territory, and its natural features.